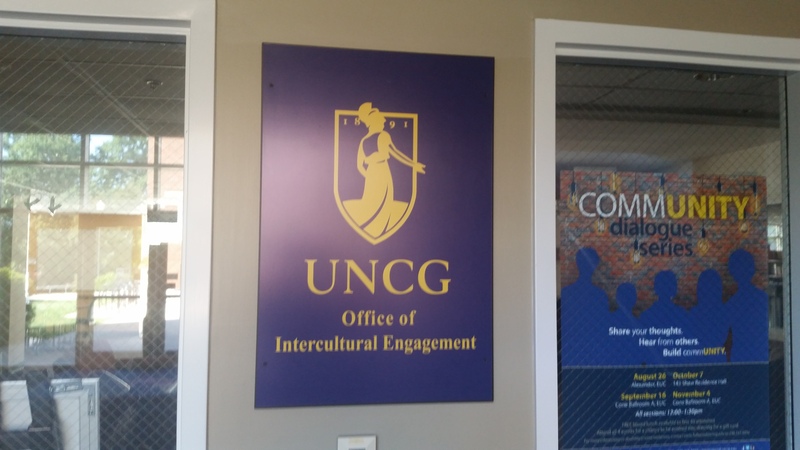 GREENSBORO- The Office of Intercultural Engagement (OIE) epitomizes The University of North Carolina at Greensboro’s (UNCG) commitment to promoting conversations about diversity, inclusivity, cultural and ethnic sensitivity, and community engagement. Located on the Elliott University Center’s ground floor, the OIE is dedicated to helping students maximize production in a diverse, modern day work environment. The OIE achieves its ends by providing a space where members of the UNCG community can come together for conversations which facilitate understanding and respect towards all involved. In the upcoming school year the OIE is sponsoring the program Dialogue Initiatives. This program provides a forum for students, faculty, and staff to engage in productive discussions about issues that are common to everyone. The purpose of these discussions is not heated debate, but to encourage cooperative, meaningful, and respectful discussion that encourages the building of long lasting relationships that transcend the traditional barriers of ethnicity, race, religion, sexual orientation, and gender identity. Their most popular programs are the Safe Zone trainings and workshops. According to the OIE’s website, these programs offer a welcoming environment for open and honest discussions on issues and topics which affect the LGBTQ community, and also encourage critical thinking and allyship among peers. One of their programs is the Safe Zone 2.0, which has been revamped from its original format in previous years due to its success and popularity. “To raise the capacity of individuals on this campus to create a more inclusive space. So how able are students to be inclusive in their language, in what they know about other kinds of people, we can address that,” stated Peña, in regards to the program’s expanded focus. With this program, students, faculty, and staff will have an opportunity to educate themselves on the core issues that affect LGBTQ community in a safe setting that promotes moderated and informed discussion. In addition to this Safe Zone program, the OIE is initiating a Trans Zone workshop. “It is a training that focuses on orienting and educating people on what the world looks like when you step out of male and female,” remarked Peña. A complete list of events are available on the OIE ’s website, intercultural.uncg.edu.